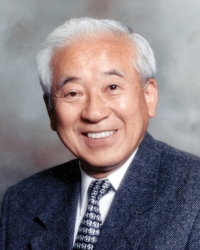 SAN JOSE — Judge Taketsugu “Tak” Takei of Cupertino passed away unexpectedly on Jan. 18. He was 82. Born on Feb. 18, 1930, in San Francisco, he was preceded in death by his parents, Hyobu and Tsuneyo Takei, sisters, Florence Ida and Haru Hedani, and brother, Kazuo (Fusae). During World War II, his family was interned at Santa Anita Racetrack and later Topaz Relocation Center in Utah. After being released in 1945, they returned to San Francisco. Takei graduated from Lowell High School in San Francisco and UC Berkeley. He was then drafted into the Army and served with the Military Intelligence Service in Japan and Korea. After the Army, He graduated from Hastings College of the Law and was admitted to practice in 1961. Takei’s career spanned all three branches of government. Legislative: Joined Legislative Counsel of the State of California in 1961. Executive: Appointed director of California Department of Consumer Affairs by Gov. Jerry Brown in 1975. Judicial: Appointed in 1976 to Santa Clara County Superior Court, where he was the first Asian American judge. Takei was also one of the original five attorneys of the newly formed Santa Clara County Office of the Public Defender in 1965. After spending 20 years on the bench, he retired in 1996. Survivors include his wife, Lilly; sons, Jonathan (Suzette) and Kevin (Sandra); daughter, Leslie; and six grandchildren, Kaela, Malia, Garrett, Noelani, Audrey, and Alexander Takei.